There are some great sounding drums out there. 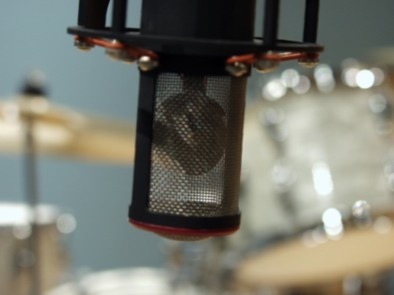 Gretsch immediately comes to mind because my experience recording them has always been satisfying. 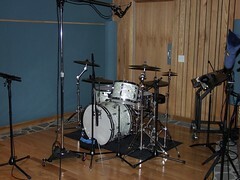 In fact, many sponsored drummers are secretly using Gretsch in the studio. Is it the bearing edge, wood choices, plies or grey automotive paint used inside the shell that makes them sound so good? Yes. 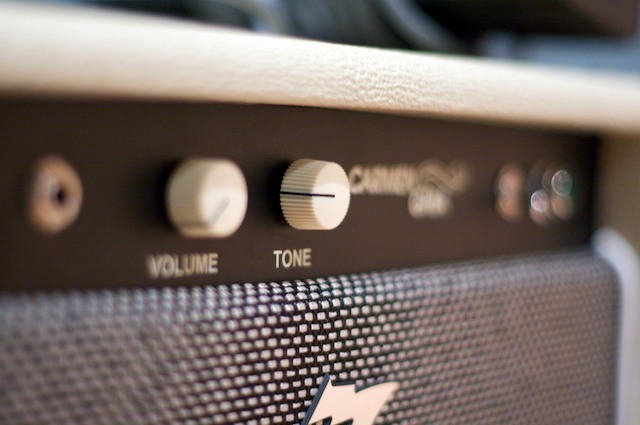 All these factors play into the sound of a drum or even a drum company. Which company’s approach is right and which is wrong? They’re all right. It’s all good. 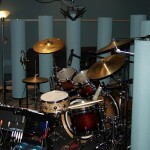 There are many drum companies to fit many different kinds of music and needs. Previously I discussed the drum head. Now let’s look at the wooden shell. The first function of a shell is to support the pressure of the head tensioning (and the tensioning mechanism). In this basic function it’s easy to see why a wood like, say Balsa, isn’t used. Balsa would crush under the tensioning pressure, especially with modern marching drums. Also remember, the wood must be steamed and bent into a cylinder; a cylinder that holds its shape. So, high on the attributes list is how easy it is to form into a permanent cylinder. And, for the company’s bottom line, is the wood readily available and cost effective to buy, ship, machine and finish? After these considerations the musical qualities of the wood come into play. I honestly believe early drum companies chose their wood based primarily on cost and ease of forming alone. Modern drum companies have developed ways to form thinner shells from a variety of woods allowing them to focus more on the musicality of the shell. Most shells are made of plywood. Plywood is merely thin veneers of wood glued together under extreme pressure, with the grain of each layer usually 45 degrees from each other for stability and strength. The resulting wood is stronger than solid wood of similar thickness. So, for the same strength a plywood shell can be considerably thinner and lighter. In older shells the veneers are usually thicker and range from 3 plies up. They can have pretty wood on the outside layers and junk wood in the middle, or layers of different musical woods, or even many layers of the same wood. As a side note: Steinway Pianos laminates the sides for their pianos with all the wood grains in each veneer running the same way. Their research shows that increased volume and tone are produced this way as opposed to alternating the grain like traditional plywoods. Take note drum companies. How do you evaluate varieties of wood for their musical value? One way is the Janka Hardness Test. It works like this: they press a steel ball into wood until the ball indents halfway and then note the foot pounds of pressure it took to do it. Near the upper end of the scale at 3840 pounds force is Rosewood, a dense hardwood used in Marimbas, guitar sides and fretboards. Very musical and very expensive. At the bottom of the scale is Balsa at 100. Most drum woods rate somewhere in the middle of the range, with Maple at 1450, Birch at 1470, Ash at 1320, Beach at 1300 and the new flavor-of-the-month, Bubinga at 1980. Strike a marimba (made of rosewood near the top of the hardness scale) and a piece of Eastern White Pine at the bottom (380). Note the musical difference and use your tonal imagination as you consider shell woods. Need a warm tom tone? Need more attack to help cut through? Want a dark tone? Let’s look at another percussion instrument, the piano, specifically a Steinway. The sound board is made of Sitka spruce, a light, strong wood also used in guitar tops. (and early wooden airplanes!) Because it’s light and machined thin, spruce sound boards can be quite responsive; light and quick to transfer energy making the piano sound beautiful with rich overtones. Actually, the acoustic piano just may be the most beautiful instruments of all time and a percussion instrument at that! Now, this is an important point. The lighter and thinner the shell, the quicker and easier it will be excited by the head strike resulting in more shell tone. Now, if rosewood is denser and more musical, then why don’t piano makers use it for sound boards? Well, besides being terribly expensive, it’s harder and denser and would take considerable more energy to excite to the same level as spruce. The piano has very strong sides and massive cast metal harps which handle the immense pressure of the string tension, therefore allowing the spruce sound board to be unhindered (free-floating) in vibrating and producing tone. Drums, except for Sleishman (to my knowledge), have to vibrate and support the tuning mechanism. This ‘free-floating’ concept is now common with tom suspension mounts but not much further than that. I’ve recorded Sleishman’s and they have the most sustain I’ve ever heard in a drum and more drum companies should consider exploring this area. Here are some final points to think about when considering a drum shell. The basic pitch of a drum comes from the diameter (and depth to a degree). The thinner the shell the easier the shell will be excited, thus more shell tone. The thicker the shell, the less shell vibration and more of the head sound (attack), thus a louder drum. The deeper the drum, the more shell there is to excite, thus more wood tone and projection. The harder the wood the higher the tone with more projection. The softer the wood the lower the tone with less projection. And remember all these nice shell attributes can be nullified with the wrong head choice…all this stuff works together. 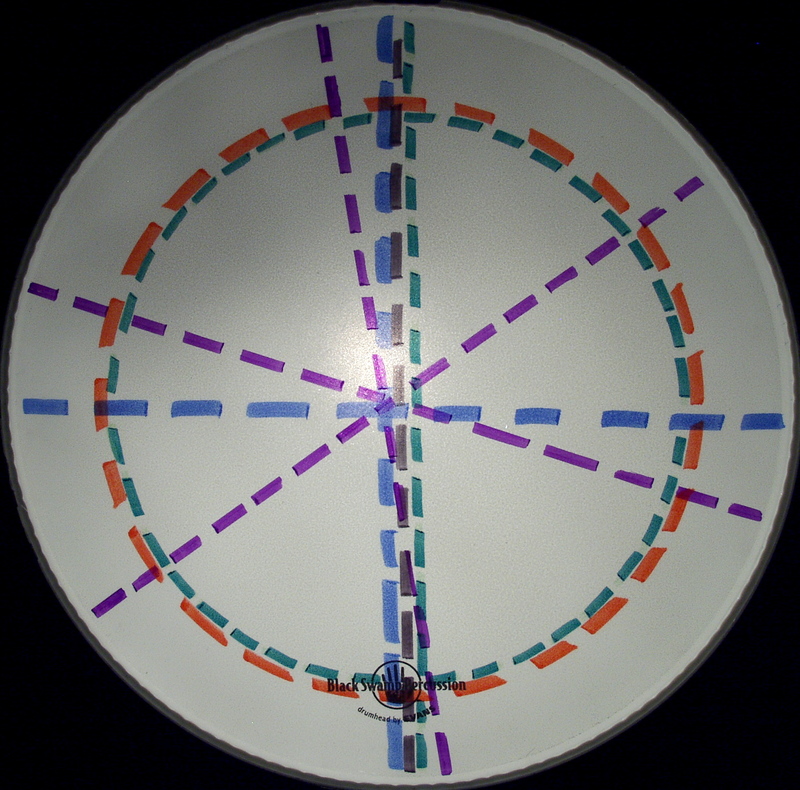 So, we have to compromise to a degree when choosing or designing a drum shell. We need the shell to be strong (to hold up to the pressure of tuning), thin and light (so the energy transfer can be quick) a musical wood (so the wooden overtones can be rich), beautiful and easy to work with so the shells can be easily formed and beautifully finished and cost effective (because not all drummers have a bank account like Mick Fleetwood). In the next blog I’ll continue discussing alternative shell materials and coverings. These are things I like (in no particular order). I like Old School almost always. I like New School when it isn’t ignorant. I like drummers who can play to a click but don’t need to. I like live show mixes that aren’t mostly kick drum. I like tape. I like the smell, the sound and the visual of a recorder as big as a washing machine spinning ribbons of iron. I like a clean studio without pests or vermin. “I have a studio now!” is the common cry from most folks after purchasing their recording set-up from the local Banjo Mart. Well, do you really have a studio? 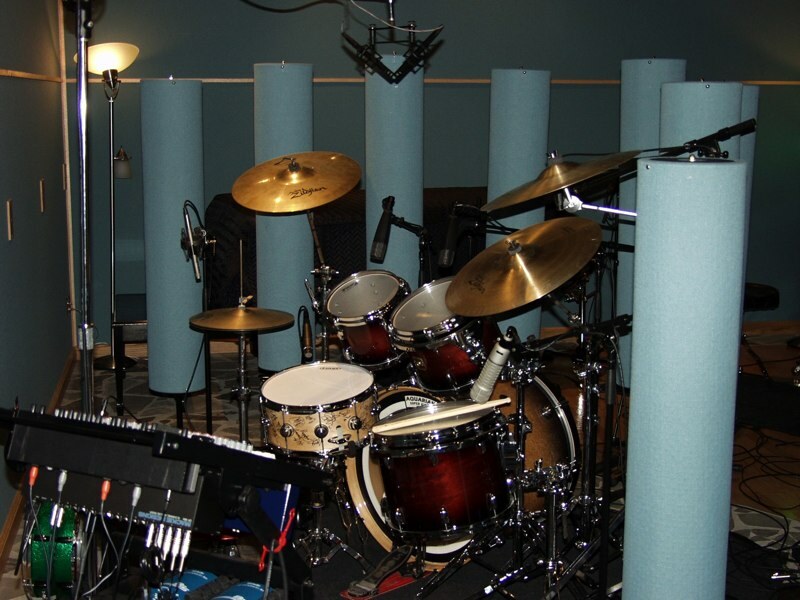 For song writing demos, band demos for bookings, etc., your home set-up may be just fine. 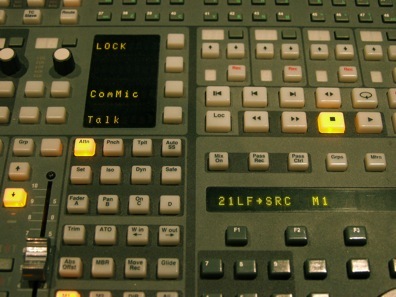 But when it comes to commercial releases, you may need some help. The marketplace today is very crowded and it takes an extraordinary record to stand out. Except for the abundantly equipped project studio, a professional studio offers the extra effort most projects need.